So, everyone's talking about Candyman this month, both because of its brand new 4k restoration, which I'm about to tackle below, or because of the recent buzz of Jordan Peele being in talks to produce, and possibly script/ direct, a remake. Now, you guys already know I'm a pretty big fan of Get Out, but still, even assume Peele takes a strong creative lead, I'm not sure I'm too jazzed on the idea. Admittedly, like how this latest Halloween film was bound to be an upswing in its franchise given how the messy the last bunch of Halloween flicks were, I'm sure Peele would be guaranteed to improve upon where we left off with Candyman 3: Day Of the Dead. But the original Candyman is just one of those films where all of the elements came together in just such a perfect alchemical way, that I just don't see any way for additional attempts but down. 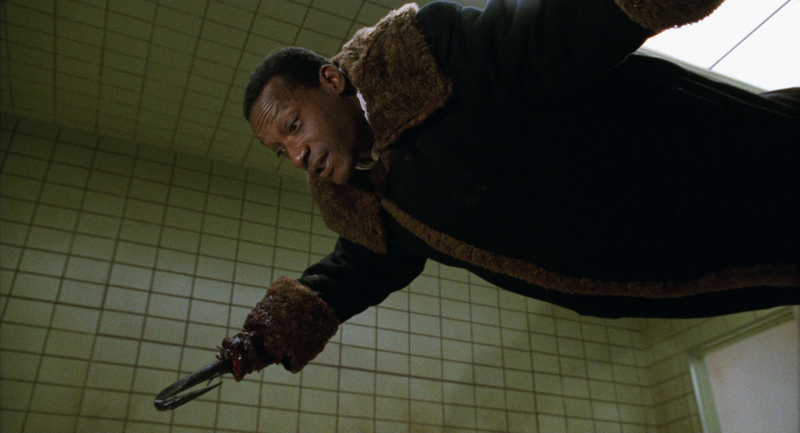 Because Candyman is a serious contender for the absolute best horror film of the 90s. And it's got to be one of the very few films of any genre to actually improve upon and top its literary source material. It's based, of course, on Clive Barker's short story from his stellar Books of Blood series. 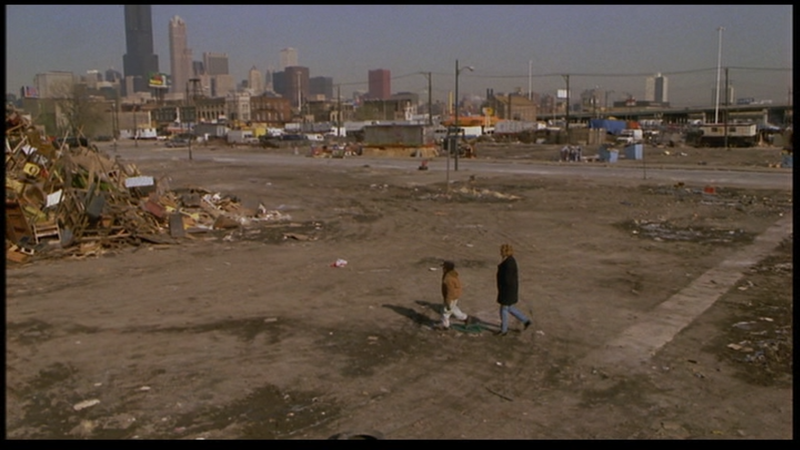 But by transporting the story to America - specifically Chicago's Cabrini Green - and adding the very fertile topic of race to the already thematically rich tale, it manages to hit you so much deeper. On the one hand, it really works as a classic ghost story, like those BBC ones based on classic literature (another post for another day), but then it's as contemporary and vivid as any modern film. 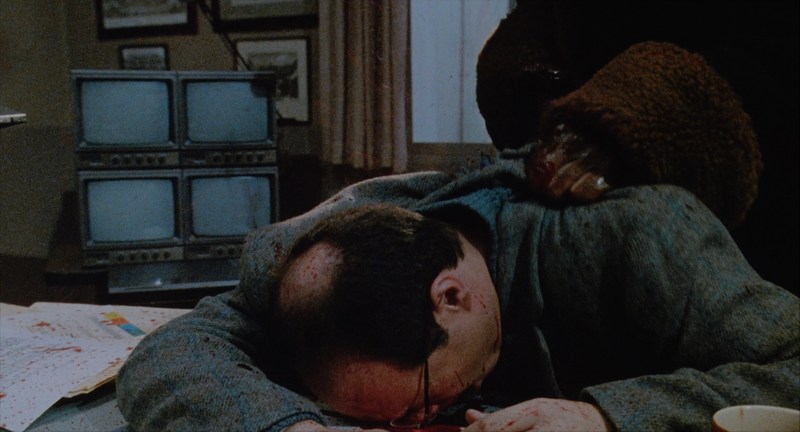 Tony Todd and his gruesome hook convey a surprising combination of earnest pathos and enough mean-spirited gore to satisfy any jaded horror fan. In fact, it's first class performances all around, even when a lot of dramatic weight is placed on the shoulders of a young child actor. You've got cutting edge photographic techniques, knock-out special effects that hold up to this day (Todd had real live bees in his mouth! You know they'd just animate that with CGI now) and Phillip Glass's elegant score. Really, what's a reboot going to deliver that this film hasn't already provided? So Candyman originally came out on DVD via Columbia Tri-Star in 2000, as a barebones flipper disc with a fullscreen version on the other side. They upgraded that in 2004 with a proper special edition, which is the DVD I've got for us today. Now, there was a blu-ray version before the current pair of 4k restorations. It came out in the UK in 2009 from Paramount, but it's not highly regarded: barebones (yes, they dropped the DVD extras) with edge enhancement. Still in HD and a genuine upgrade from the DVDs, but not pretty. This month, though, it's getting released by Arrow in the UK and Scream Factory here in the US. Apparently, they worked together on this, sharing most of the new extras (though there are key differences, which I'll address below) and the same "new 2k restoration from a new 4k scan of the original negative, supervised and approved by writer/ director Bernard Rose and director of photography Anthony B. Richmond." I went with the Scream Factory edition, so let's have a look. 2018 Scream Factory (unrated cut) blu bottom. To start off, the DVD would have you believe it's 1.85:1, but I've left the negative space around the first set of shots to show you that it's actually slightly windowboxed. 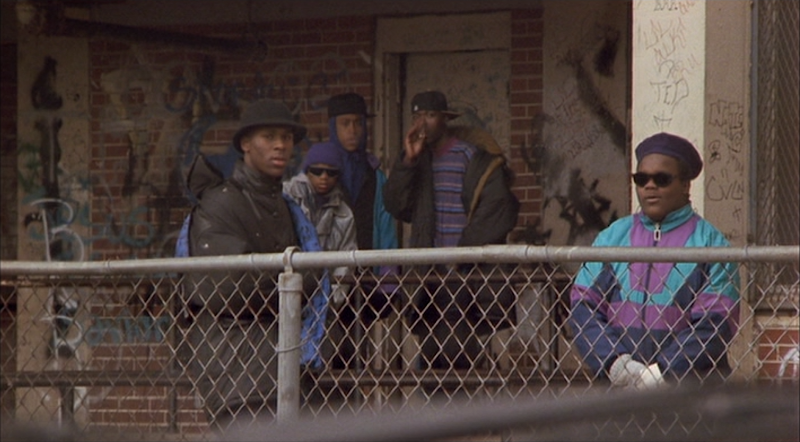 It's anamorphic, mind you, but still slightly boxed in, and those vertical bars actually crop the image to more of a 1.81:1. The new blu has pretty much the exact same framing, but it's actually 1.85:1, because it lifts bars to show the extra image that they're masking. It also has a smidgen additional picture along the top and left. But of course, the real story is the huge boost in clarity. For one thing, the colors and contrast on the DVD are flat and dull compared to the blu, which really pops. The DVD has a faded look, plus a bit of a red hue over the whole film. 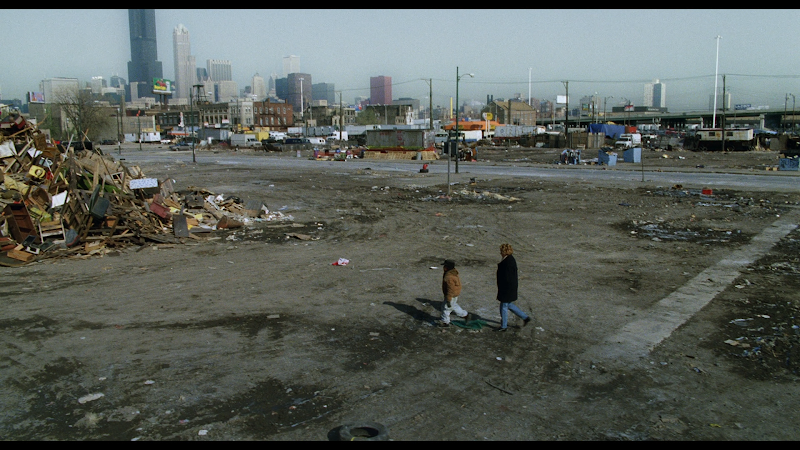 Just look how completely different the color of the ground itself is in the first set of shots. Grain is fine, if a bit light in areas on the blus, but only sort of hinted at on the DVD, which just looks sort of lumpy when you get in close. The standard definition compression results in haloing that looks at first to be edge enhancement, but might just be the result of artifacting caused by too low bitrates. Of course, the HD takes care of all of that, and the edges look crisp and unencumbered by any such digital noise. theatrical cut top; unrated cut bottom. At this point, I trust you've noticed two sets of blu-ray shots. That's because Scream (as well as Arrow on their release) have included both the widely released theatrical cut and the original unrated cut. The difference comes down to only one scene, and about four seconds of footage. Both cuts basically feature alternate shots of the same kill, so both cuts are the same length. And the unrated cut is barely any bloodier. 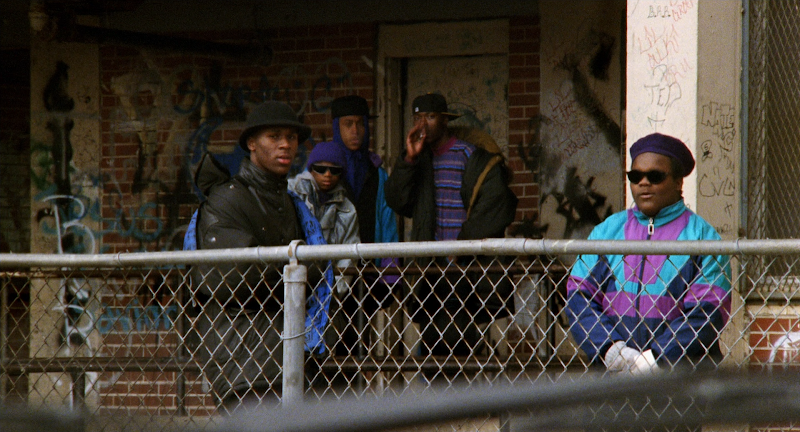 But anyway, because the negatives contain the theatrical cut, they've had to insert "HD footage from a rare print." I'll say this. You definitely do notice the jump in quality in motion (visually and in the audio), particularly the thicker, unrulier grain; but the inserts look pretty darn good. One thing I noticed, and I hesitate to point it out because it's so minor, but there is a slight difference between the theatrical and unrated transfers outside of those inserts. The unrated cut - and again, I'm not talking about the four second scene, but the entire rest of the movie - has a single black pixel in the upper-most right-hand corner, and the entire frame is indented by a single pixel width on the left hand side. In other words, the unrated cut is 1919 x 1080 while the theatrical cut is 1920 x 1080. Actually, being 1919, or even 1918 x 1080 instead of 1920 is not that uncommon. 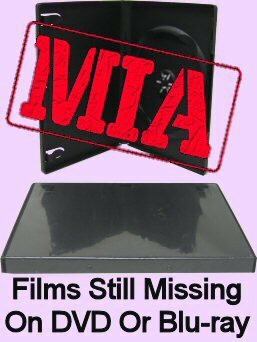 Plenty of other blus I've covered are and I don't even bother to mention it; but it does mean in this case that the unrated cut - again, only by the slimmest, single pixel-width margin which the naked eye would never catch in motion - is ever so minutely squeezed. And also has that one black pixel in the corner, which is just puzzling. Look for it in all the other shots on this page. Anyway, it will have no bearing on how much you enjoy your viewing experience, it just piqued my curiosity. Anyway, the DVD gave us a nice, solid stereo mix with optional English subtitles, plus French and Portuguese dubs and subs. Screams bumps the stereo mix up to DTS-HD, again with optional English subtitles, plus an even more boisterous 5.1 mix, also in DTS-HD. The special edition DVD was actually pretty sweet in terms of extras. It's got a pretty ideal audio commentary by Bernard Rose, Tony Todd, Virginia Madsen, Kasi Lemmons, Clive Barker and producer Alan Poul. Then they've got a fairly comprehensive little 'making of' doc that comes in at about 24 minutes and an additional, extended interview with Clive. They also include an animation of some very colorful storyboards and a couple bonus trailers (though not the Candyman trailer itself). All great stuff. Now, before we get into where Scream and Arrow differ, let's get into what they have in common. Both share a very cool collection of original special features. First, there are two brand new audio commentaries: one with Bernard Rose and Tony Todd, which I'll talk more about in a moment, and an expert commentary by the always reliable Stephen Jones and Kim Newman. Then, there are great (and rather tightly edited and paced) on-camera interviews with Tony Todd, Viriginia Madsen and production designer Jane Ann Stewart . These are great, as is a featurette on the special effects featuring interviews with Bob Keen, Gary J. Tunnicliffe and Mark Coulier. 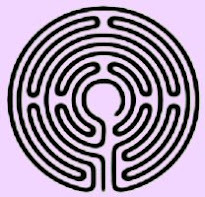 Then there are a couple more critical pieces, with Douglas E. Winter delving into Clive Barker's original short story, and a conversation about the racial aspects by writers and scholars Tananarive Due and Steven Barnes. They actually talk about how the film might be done differently today... something we may wind up seeing for ourselves if that Peele project sees its way to completion. Both blus also offer the trailer (finally) and a small image gallery. All also great stuff. But like I said, things differ. First of all, Scream carries over all of that DVD stuff, right down to the storyboards. Arrow does not. And now I'll get into that Rose and Todd commentary, because they take it fairly lightly. 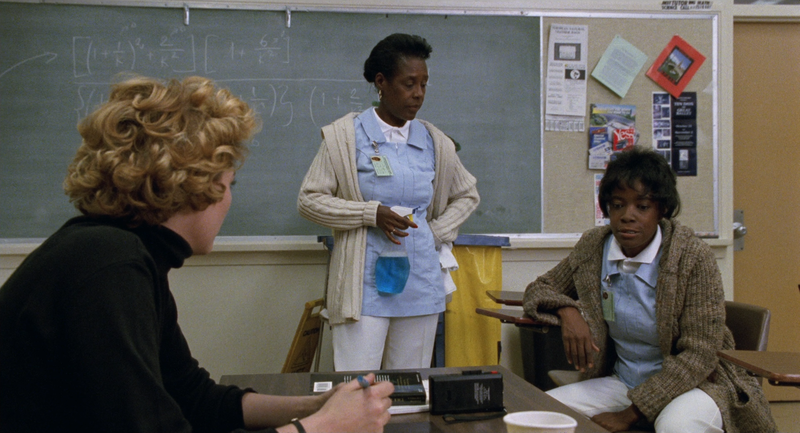 It's a very breezy, entertaining chat, that routinely drifts very far from Candyman. They talk about other movies, like Avengers 3 and A Quiet Place (by the way, I agree with Rose on that one), current projects they're working on, Todd's childhood, Rose's greencard... On the Scream Factory release, it's great, because you already have them doing a regular audio commentary, so you wouldn't want them repeating all the same anecdotes and observations. But if you have the Arrow set, it's going to be a frustration that they barely say anything about Candyman. So that's a big advantage for Scream. 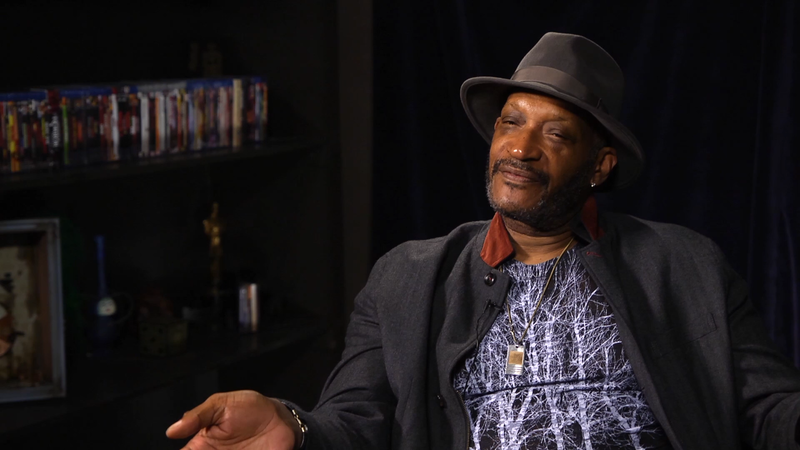 The other Tony Todd on-camera interview. Next, Scream has some really neat exclusive extras. 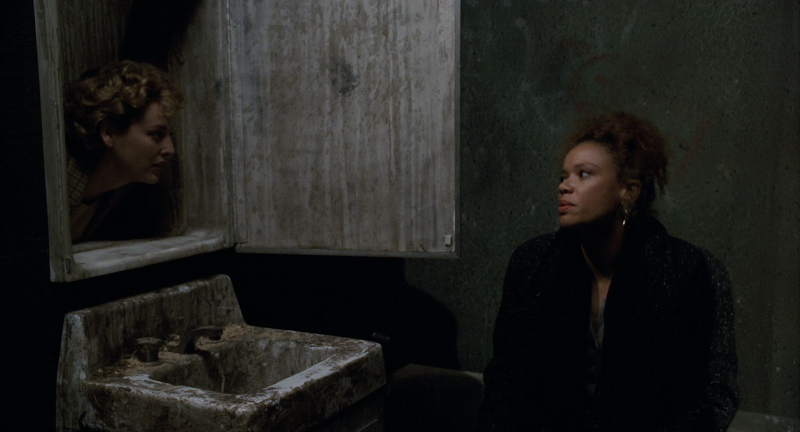 They have another, second on-camera interview with Tony Todd, and on camera interviews with Kasi Lemmons (who laughs a lot) and the guy who played the kid, DeJuan Guy. These are great, really fun interviews not on the Arrow set. They also have another, fourth audio commentary with Rose and the guys from the Movie Crypt podcast. This one's more light-hearted, too, but stays a lot more focused on the movie itself... in fact, it's probably the one where Rose gets the most in depth into many of the nuts and bolts. So again, that makes the Rose/ Todd commentary a much better fit for Scream than Arrow. They also have an additional TV spot. So another advantage for Scream. But it's not all so one-sided. Arrow has a couple of exclusives, too. 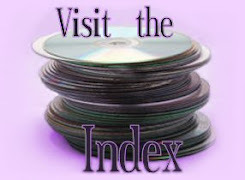 Namely, they have three short films by Bernard Rose, made when he was a young man in the mid 70s. They also have a brand new interview with Clive Barker. From what I've been able to gather, it sounds like he covers a lot of the same ground he did on his old DVD interview, which Scream has; but it has to be noted that Arrow's is substantially longer. I went with Scream Factory and I definitely don't regret it. They used the same master (though, of course, it's not the same encode), and Scream's collection of extras is a lot more satisfying. 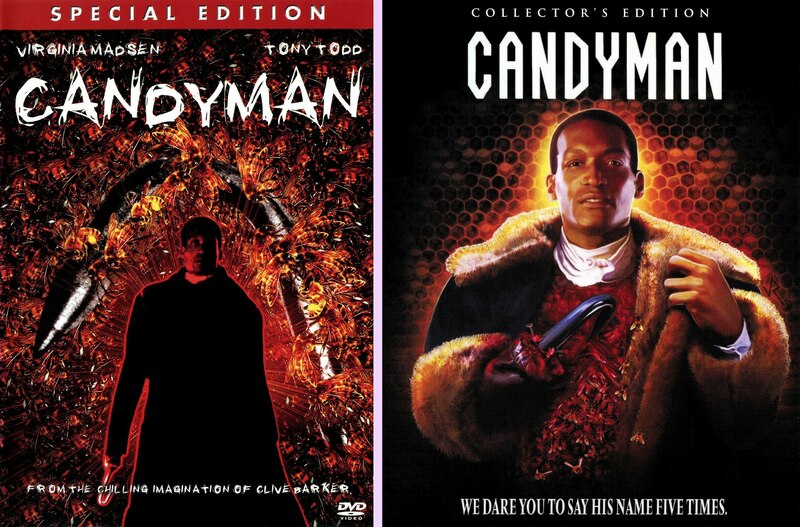 They kept all that great DVD stuff, and came up with the more Candyman-specific set of exclusives. Though, that said, Arrow's exclusives are nothing to sneeze at, and if you've got the dosh, you might well be picking up both for the most complete package. But for my money, Scream put together the most appealing package. Oh yeah, and speaking of packaging, I should add that Scream's blu has reversible cover art with the original bee on the eyeball poster image and a cool slip cover. Also, the first 2000 copies ordered directly from their website include a second slipcover and two rolled (not folded) 18" x 24" posters. And, hey, maybe in 2020, they'll release a boxed set of all four Candyman films; but personally, I think I'll be fine sticking with just the original.